Ignite Your Culinary Passions! Designed and Engineered in Italy. Pronto in Italian means ready and this Forno Venetzia oven is ready for succulent culinary adventures. The Pronto series of ovens are a great choice for those looking for a compact yet full featured oven. The 200 Series counter top models are designed for outdoor kitchens. Large enough for two personal sized pizzas. Bake, Broil, Grill or just enjoy a real wood fire. 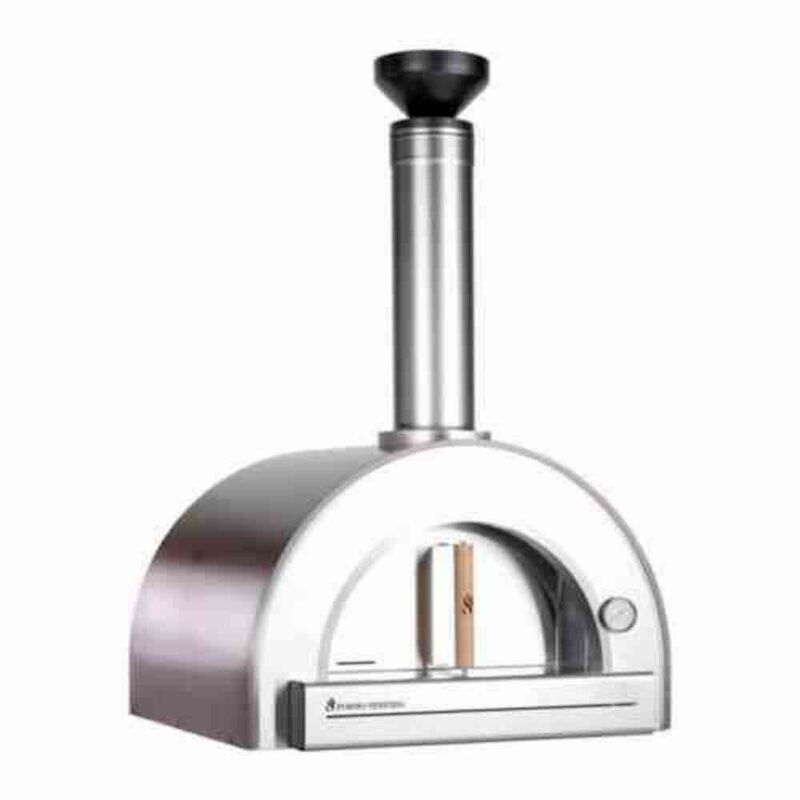 The Forno Venetzia will quickly become the focal point of all your cooking and entertaining. Two layers of ceramic insulation over the dome and under the hearth keeps the heat in for superior cooking performance. Available in copper or red with a textured powder coated paint that will keep it looking great for many seasons of great outdoor cooking and entertaining. Pronto 200 in Copper Ignite Your Culinary Passions! Designed and Engineered in Italy. Pronto in Italian means ready and this Forno Venetzia oven is ready for succulent culinary adventures. The Pronto series of ovens are a great choice for those looking for a compact yet full featured oven. The 200 Series counter top models are designed for outdoor kitchens. Large enough for two personal sized pizzas. Bake, Broil, Grill or just enjoy a real wood fire. The Forno Venetzia will quickly become the focal point of all your cooking and entertaining. Two layers of ceramic insulation over the dome and under the hearth keeps the heat in for superior cooking performance. Available in copper or red with a textured powder coated paint that will keep it looking great for many seasons of great outdoor cooking and entertaining.